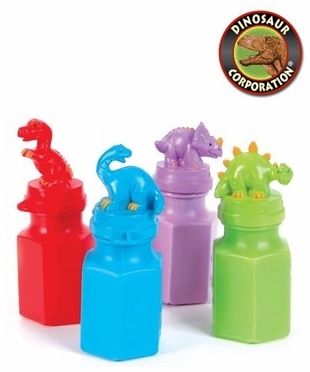 Dinosaur Bubble Blowers with Dinosaur Heads of Brachiosaurus, Stegosaurus, Triceratops and Tyrannosaurus rex. These dinosaur bubleblowers create fun activity at your dinosaur birthday party, wedding party and celebration events! * Sold individually/price per 1 piece.